Sheepcote Street Bridge on the Oozells Street Bridge. 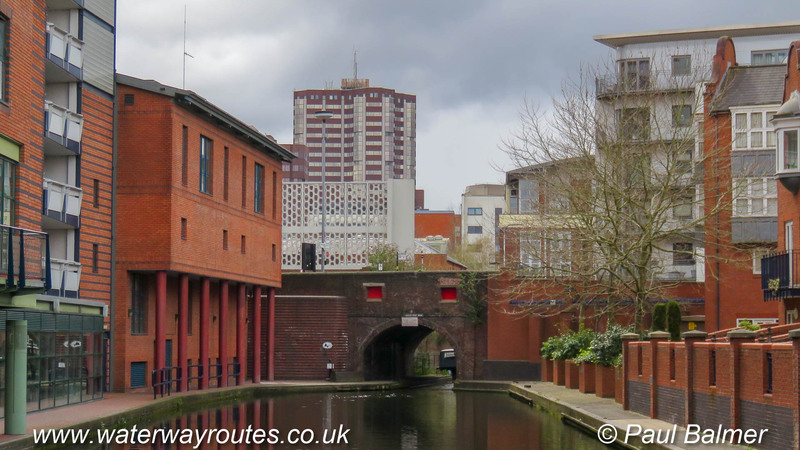 Sheepcote Street Bridge leads to Sherborne Wharf Marina, and through that along the Oozells Street Loop to Ladywood Junction. The red panels in the bridge are doors which can be opened by the Fire Service to put their hoses through to take water from the canal. They are present on many bridges in the Birmingham Area. Birmingham is built on top of a hill and, at least in historical times, the water pressure in the mains was low and might be insufficient for fire fighting, although this isn’t such a problem in modern times.